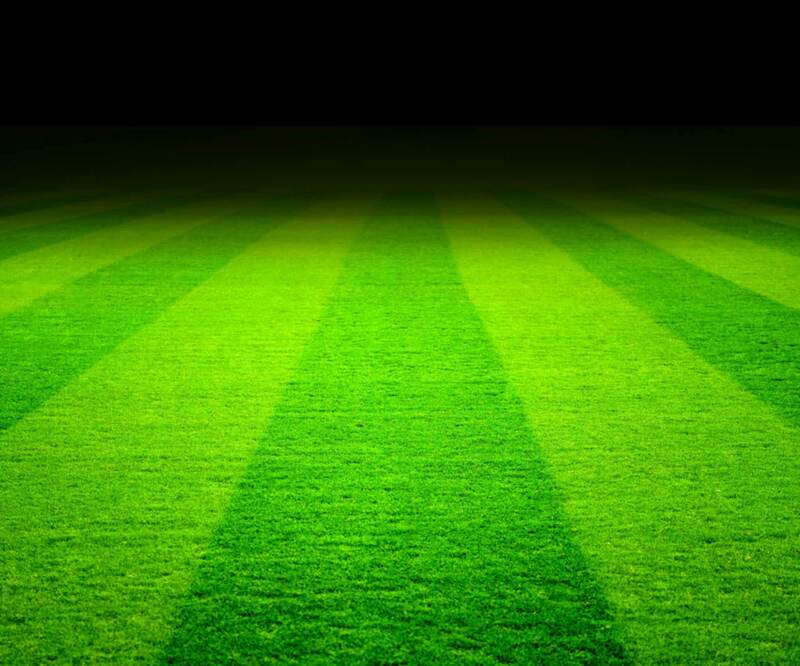 The Football Association recommended size for 9v9 Football. 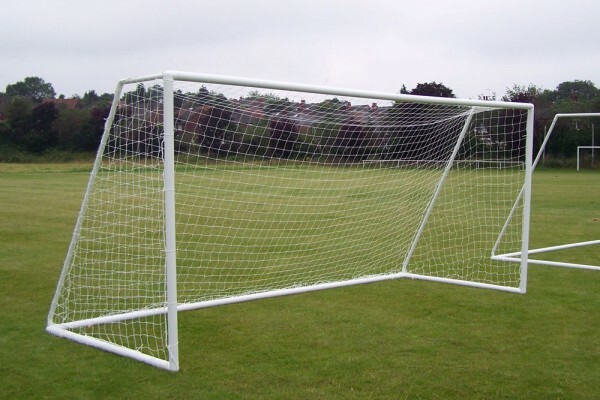 This match standard multi-surface youth goal measures 16’x7′ and is made from high impact UV stabilized reinforced uPVC with a two section crossbar. 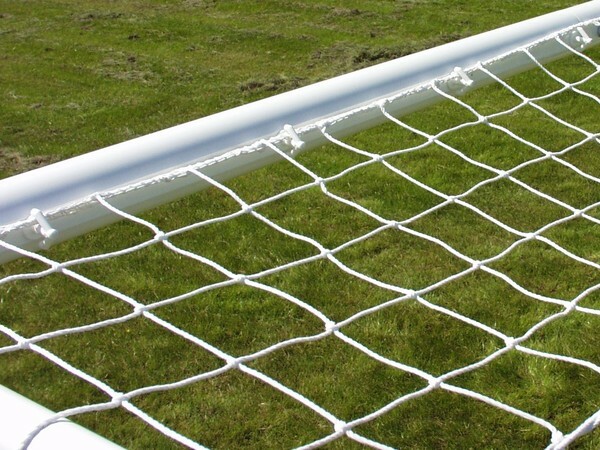 The two section version gives the straightest crossbars of any Goal post uPVC 9-v-9. With fewer sections and nets that lift on and off it is easy to see why this football goal is the choice of the discerning Junior football club. 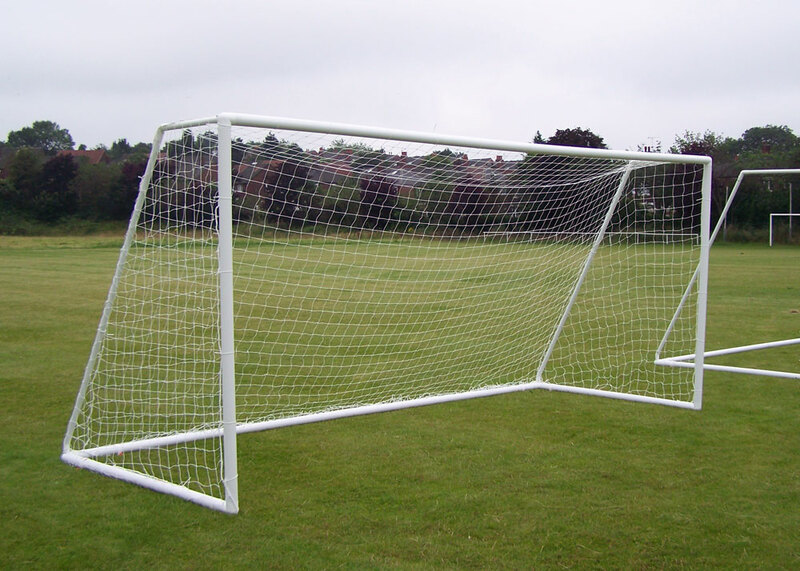 The football goal assembles via means of a ‘push fix locking’ system which requires no nuts or bolts and can be erected or dismantled in minutes. 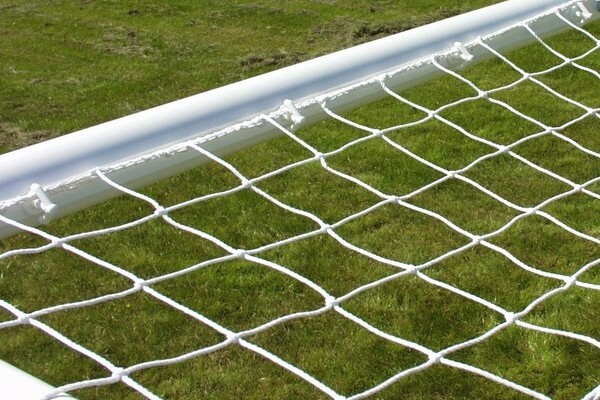 The only uPVC goals with net supports that are securely attached to the corner of the goalpost uprights unlike SAMBA goals that have un secured supports just pushed into a hole. I Bought these as present for my football mad 12 year old. Very happy with the posts, straight forward to put together, and they seem very sturdy. The net is good quality and is held well in place by the locking fasteners that come with the posts. Many thanks for the excellent service, goals are assembled and have registered their first win. Thanks for the great service, quality of the goals and the speed of delivery. Just to say how good the plastic 9v9 goals you recently delivered are. I am now looking for a price for 1x 5v5 a 1x 7v7 & 1x9v9. Could you please give me a price for each set of complete goals.